Progress of Study Hall for Haiti orphanage, Roof Still Needed! Enough funds were raised for Fr. 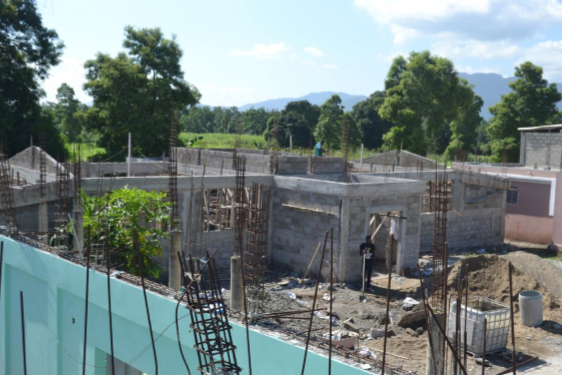 Andre Sylvestre’s Haiti orphanage this past year to start construction on the Study Hall/ Library in the early spring of 2018. 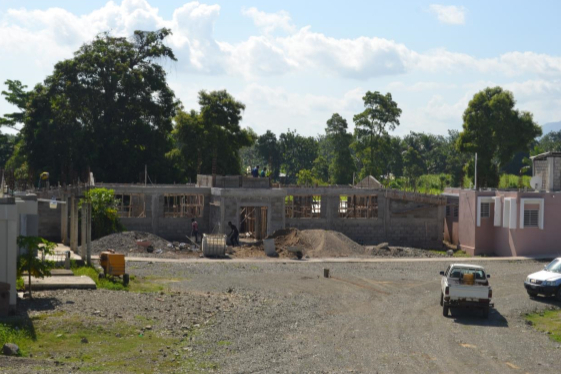 This building will be a place for the orphans to study and research for their classes. The nuns and teachers will work with them in this new facility to help them reach their goals. There are plans to make computers available to them in the future. 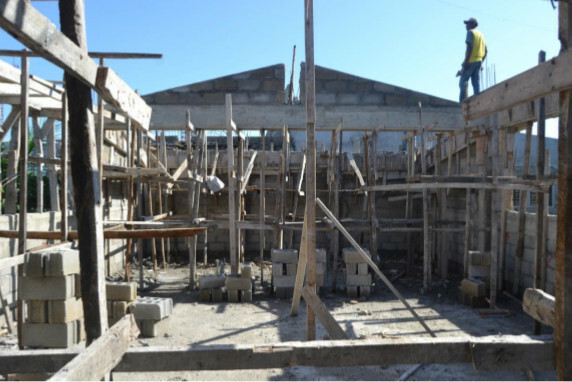 Great progress has been made on this endeavor due to the day-to-day work of a young Haitian engineer, the architectural designs of Anthony Costello who is a Muncie parishioner, and the dedication of Fr. Andre. None of this would have been possible without the generous donations of our donors. We have recently learned that the roof for the Study Hall/ Library will be an added expense of $23,000. We will be hosting a rummage sale fundraiser, but donations from those interested in seeing this project completed are greatly needed. Donations to the Haiti orphanage can be sent via check or online. Below are some photos of what has been completed so far. The Study Hall/ Library is located between the children’s residence and the nuns’ residence. 2018 Rummage Sale Was a Success – THANK YOU!